If you’re looking for a perfect gift for someone who already has everything – look no further! Our handcrafted desk name plates are fabricated one at a time from industrial steel plate. They look good, they feel great, and they’re guaranteed to stand out from the crowd! The lettering limit is 14 characters for these items. Please allow one week of lead time for production of these hand crafted items. What happens when you combine the precision of a robot with the skill of a craftsman? A one of a kind desk name plate that doubles as a work of art. 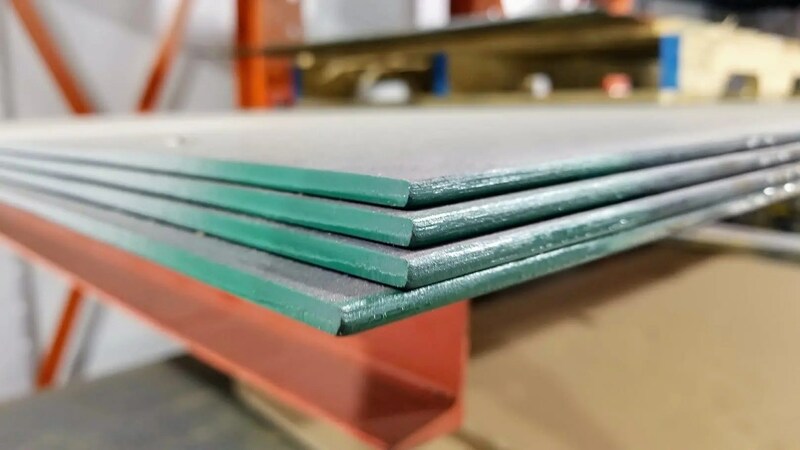 We start with heavy steel plate – 2.5 times thicker than the steel shipping containers are made from. Then cut the parts with an industrial robot, and weld them together by hand. One at a time. No two are the same, and no other desk name plate is its equal. Our Custom name plate features a rugged industrial look. The letters are hand welded to the base, and all the parts are ground by hand to create an “aged” effect. The results are stunning! Our Deluxe edition adds a dual-layer base, and features letters that are ground to create a highly reflective surface, then heat treated to create a colorful reflective appearance.